Two men have been winched to safety off rocks after getting into difficulty whilst kayaking on the Anglesey coast. 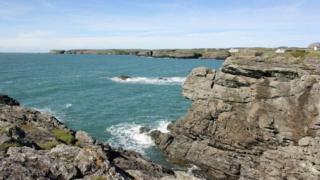 It is believed the pair got into trouble near Trearddur Bay when one of the men fell out of his kayak. The Trearddur Bay lifeboat team and coastguard staff went to the scene but a coastguard helicopter lifted the men from the rocks. They were assessed by paramedics but did not need hospital treatment.